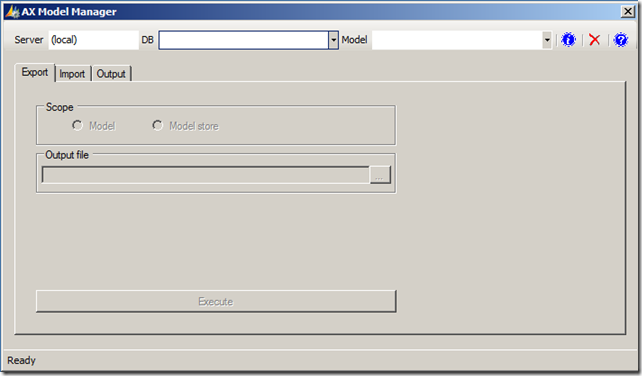 This entry was posted in AX 2012, Microsoft Dynamics AX and tagged Administration, AX 2012, AX 2012 R2, AxUtil, GUI, Management, Tools, Utilities. Bookmark the permalink. To be honest, have been thinking about something like this. What if we could create a graphical thing for this. Drawing target and destination boxes and drag and drop models around? I actually have quite a bit more code developed that would offer much more functionality than what is shown. I just decided to test the waters to get some feedback from the AX community to see if there would be any interest by possibly offering some basic functionality as a starting point. 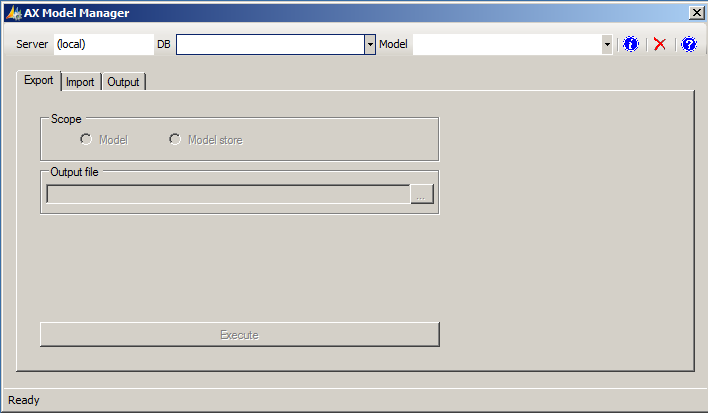 Given what I currently have, it would be a simple task to create a “source/target” system that would allow you to “drag & drop” models from one model store to another.